From the White House to Madison Square Garden, learn why Playing By Air Productions is trusted by top brands and companies to inspire, engage, and energize their events! Your event has the power to transform your organization, your people, and your community. When you want to inspire & energize your most important meetings, you need confidence in a partner who knows the ins and outs of corporate and event entertainment, who brings innovative ideas to the table, and who helps you get a good night's sleep, knowing you are in good hands. Let's chat about taking your next event from good to great! I Love it! Let's get started! Playing By Air is the go-to choice when your event needs high-quality entertainers who thrive at engaging corporate and community audiences. When you want to fill the room with creative energy and hear from your attendees, "This is the best entertainment we've ever had!" Playing By Air's award-winning cast makes it happen! How can we inspire your audience? Let's Chat! Playing By Air's Director, Dr. Jacob Weiss, received his PhD in Biomedical Informatics from Vanderbilt University, and BSE in Computer Science from Princeton University, with a focus on collaborative design and community engagement. 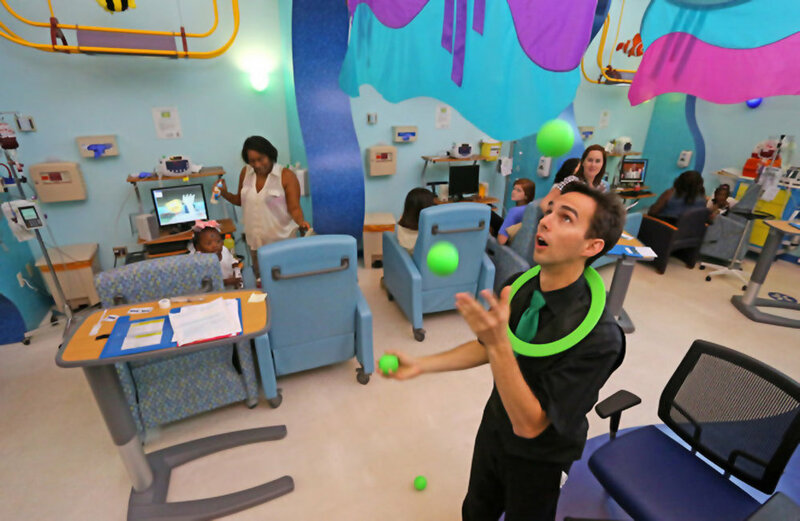 He also grew his childhood passion for juggling into an acclaimed touring program that makes a difference for organizations, families, and communities around the world. Dr. Weiss's expertise in multiple disciplines, from corporate leadership training to interactive entertainment, make him a sought after presenter for conferences and corporate events. Let's Motivate Your Team Together! Get Started Here. Get Motivated for Success by Learning to Juggle! The metaphor and process of learning to juggle will push your team try the impossible, move together towards a goal, manage stress, and learn to succeed despite the obstacles and barriers they encounter! Get out of your chairs, get moving, and have FUN trying something new! Let's work together to support causes we care about. Click here! For Every Corporate Event We Donate Free Entertainment & Motivational Workshops To a Charity and Families in Need. Your attendees will find meaning in knowing that the experience they are enjoying is being gifted to families in need. Our company has a long history of partnerships with hospitals and charities throughout the country, with an innovative approach to connect corporate clients, performing arts presenters, and local non-profit organizations. Programs such as Do Good & Juggle are a great way to expand your local impact. Let's chat about inspiring creativity in your community. Playing By Air has extensive expertise in corporate entertainment, leadership training, community engagement, and experiential marketing. In addition to providing high-quality talent for your event, we work as a partner with each client to customize the experience around your theme, messaging, and target audience.